When Moses descended from the mountain to give the people of Israel God’s Law, his encounter with the Almighty left him changed. Moses’ face shone brightly, reflecting the glory of God. Yet, even as the people noticed an outward change in his appearance, Moses brought to them the commandments from God that necessitated a change in the way God’s people were to live. 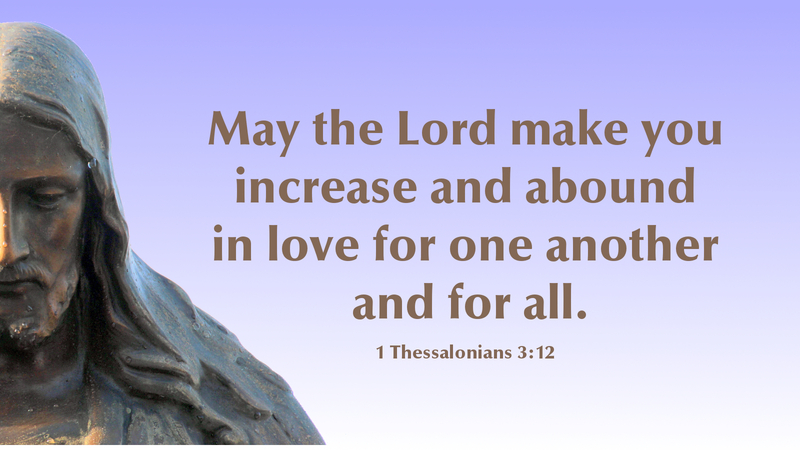 Paul also noticed a change in the people at Thessalonica. Upon receiving the gospel, they began living the life of faith. Timothy reported to Paul that the gospel of grace had provided the Thessalonians faith to strive towards living according to God’s commandments. Jesus teaches his hearers that as we read the commandments, keeping them is difficult. A change in the way we live is necessary if we hope to live according to God’s instruction. Christ knows we cannot fully change our human nature. Yet, in our hearing of his teaching and our receiving of his grace, Christians cannot help but be changed by the power of the gospel. Saved by grace through faith in Christ Jesus, we, like Moses, reflect the love of God as we share our faith with others. Prayer: Give us strength to follow your ways, O Lord, that we may reflect the power of your love. Amen.